This is a gift that has always had me trying to understand how exactly it works. I have spoken to people who are completely aware they are astral projecting but most who experience this phenomena, really aren’t sure that is what they are doing. They only know or feel that their soul self left their physical body and went visiting elsewhere. It’s obviously possible, as you read of many experiences people have of being in other places and having the ability to describe in detail what that place looks like and what the people are doing and saying. Then there are the near-death experiences where they describe floating above their body. 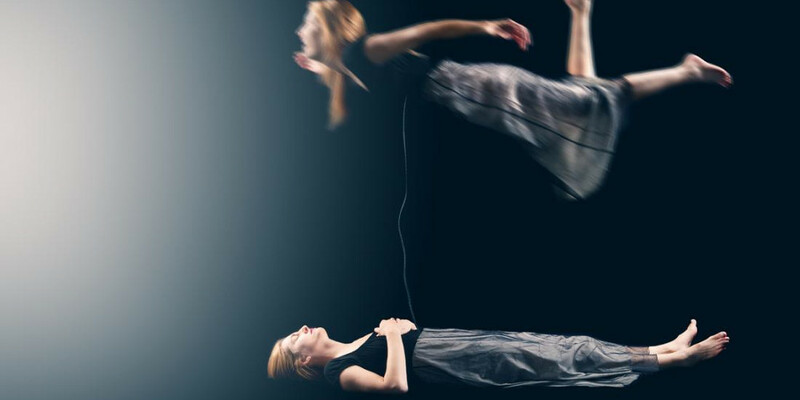 So, what exactly is astral projection? It is when you consciously separate your soul or astral body from your physical body. If the body houses your soul, then astral projection is the separation of those two. Your consciousness then goes with the astral body. It is one in the same as an out of body experience created on many different levels but the effect is the same. The really cool thing about astral projection or out of body is it can be experienced unconsciously. In other words, when someone suddenly, and without conscious intent, leaves their body. This can happen during trauma or surgery but I have a friend that literally “goes away” while sitting in front of you having a conversation and not even aware of it. I am not talking about just drifting in your thoughts with a blank stare on you face but actually traveling to another physical location or dimension. If you ask her afterwards, “Where did you just go?”, she can clearly relate to you where she has been. It doesn’t usually last very long, whereas intense astral projection intentionally lasts as long as you want it to. What happens to your body when you astral project? Your body is left behind in a sort of hold pattern stasis. It’s still alive and functioning even though the astral body is gone. Your silver life cord, as it’s called, is attached to your astral body and to your corporeal body, which keeps you connected. If that silver cord is cut, you die. That is basically a simple explanation of what death is. Astral projections are not dreams, even a lucid one. In a lucid dream, you are creating characters and fabrications of your own mind and subconscious. They are not real and you can control them. In astral projection, you are aware and leaving your body. Any beings you encounter are real and simply living on the astral plane as opposed to the reality of where your corporeal body is. Experiences shared from people who have the ability to astral travel are countless. You can help lost souls find their way to the after-life, have conversations with highly evolved beings from other dimensions, speak to spirits, go back in time, visit other planets or just flew around for fun. The one thing to keep in mind is the body DOESN’T want its soul leaving for any extended periods, so it’s really hard to separate the two. Your vibrations have to be raised to a very high frequency in order to get out of your body. To do that, you need to focus on your spiritual evolution, be in control and definitely set aside any fears as that may attract negative entities while you are free falling. And yes, there are some down sides to astral projection if you are experimenting or even if it comes naturally. Because you are not “in” your body, you could be susceptible to death or physical harm because you are not there. There are also beings out there powerful enough and strong enough to sever your silver cord while you’re astral but chances of this is very slim. Your silver cord is the tether that keeps your astral and physical body attached while you’re incarnated. That silver cord is the important part of your connection to your body and is extremely strong and durable. The cord can stretch a really long way and not get tangled, torn, or cut. To clarify something very important when you are flying around out there, you cannot get lost and not be able to get back to your body. It would be like forgetting where you live. Regardless if you have the natural ability to astral travel or you want to be able to do it. Caution is always in the forefront of learning how to be in control of any new gift which involves energetic transfer, moving into other dimension or in this case, floating around while holding onto to your soul’s silver life cord. Get a skilled and knowledgeable teacher, read lots of books and make sure whomever you consult for help has your best interest at heart. Sure sounds like fun! Previous ArticleFour Of Wands Tarot, Moving On To An Optimistic FutureNext ArticleWho Are You Attracted To: Nice Guys Or Bad Boys? I experienced some thing like this. It was my first night at boot camp. I was stressed out. At lights out I don’t know how long it’s been asleep, but suddenly my eyes flew open I felt like I was levatating I thought that’s not possible. To reassure myself I brought my arms down and i was above the bed,! Quickly I said in the name of Jesus Christ let me go smd I fell to the bed. That was scary. Not as scary as the drill sergeants I had to face that morning but close!